Do you ever have a 24 hour period that feels like you’ve lived a week inside of a day? That’s what the last 24 hours or so have been like for me. This past weekend was one of the coldest of the winter, and with two active kids, taking them to SkyZone, an indoor trampoline park, seemed like a good idea. Let them bounce away their energy, right? You know what they say. It’s all well and good until somebody gets hurt. This little guy ended up in the ER. 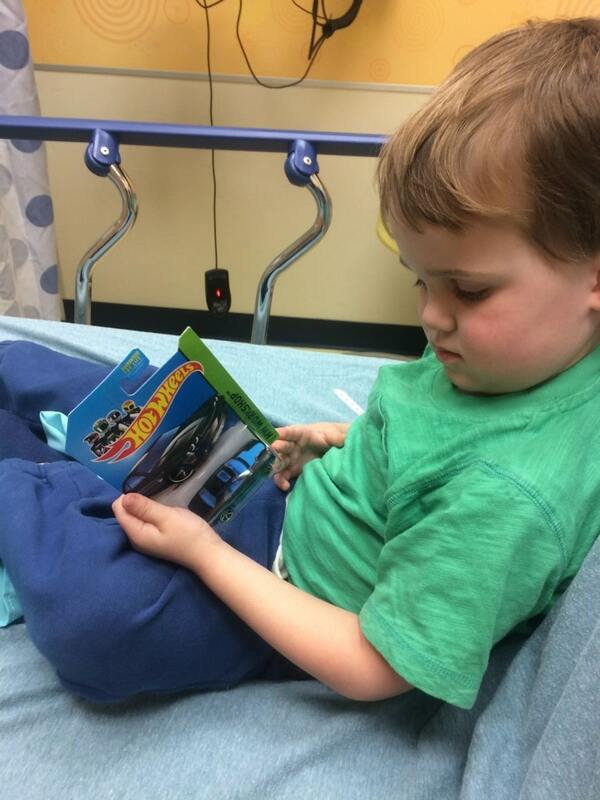 The sweet folks there gave him a new Hot Wheels, which makes any situation better. The diagnosis was a fractured tibia. We went back to the hospital yesterday to get the permanent cast that he’ll have to wear for four weeks. The doctor said that after getting the permanent cast on he shouldn’t have any more pain. So far he still seems to be in pain, which is the saddest thing to have to watch as a parent. It’s also supposed to be a walking cast, but he’s been afraid to put any weight on it. I think he’s remembering how much it hurt and is afraid it will still hurt. It doesn’t help that he has hardly gotten any sleep. (Which means guess who else hasn’t gotten much sleep…) He’s hanging in there, even though the pain and lack of sleep is making him a bit grumpy. I’m hoping he gets a good nap today and decides to try to walk on his cast. I’m getting a great arm workout in the meantime. What does Luke’s fractured tibia have to do with this Quinoa Avocado Salad? Absolutely nothing. I can’t even think of a good way to connect the two, so I’ll just say this salad has so many of my favorite things. 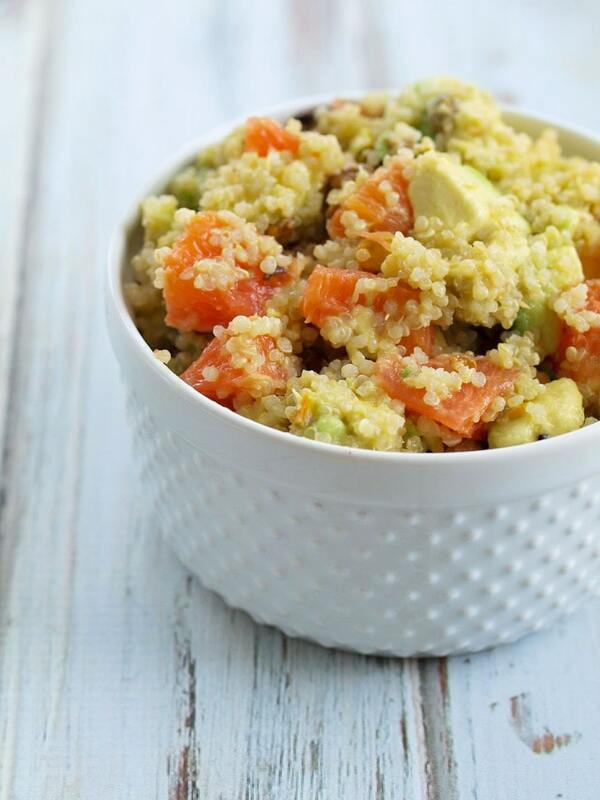 I love quinoa and avocado together and I added orange segments and pistachios, which add a nice sweetness and crunch. The whole thing in topped with a simple, oil-free lime dressing that brings all the flavors together. This makes a great main-course lunch salad or a side dish for dinner. You can also double or triple the recipe to serve it for a potluck. This healthy salad comes together in a snap, which is totally what I need right now since I have one kiddo in a cast and the other one home from school with a snow day. I don’t think I’ll have much time in the kitchen! First, cook your quinoa. In a small saucepan, bring the rinsed quinoa and water to a boil. Reduce the heat, cover, and allow to simmer until the water is absorbed, about 12-15 minutes. Fluff the quinoa with a fork and allow it to cool. Meanwhile, put the avocado chunks, orange segments (if you simply peel your orange with your hands, you will have pith and membranes in your salad that will make it more bitter. Cut the ends off of the orange, then cut away the peel with a knife. Then use the knife to slice the orange, then cut each segment into smaller pieces), and pistachios into a medium bowl. When the quinoa is cooled, add that to the bowl also. In a small bowl, whisk together the lime juice, honey, and fresh ginger. Drizzle the dressing on the ingredients in the other bowl and gently stir to mix everything together and coat the salad with the dressing. Taste and add salt and pepper if desired (I did not). Enjoy! Pesky pistachios… these seem to sneak their way into some good dishes… and I am allergic! Looks delicious otherwise! Love Quinoa! I’m sure this would be great with another nut or no nut at all! How did he break his bone? I thought it was fairly hard to break a bone so young….I have a 6 yr old boy so i’m sure a broken bone will be in our future at *some* point. Thankfully little boys heal fast! Another little boy came into his jumping area. Apparently it’s a pretty common trampoline injury. 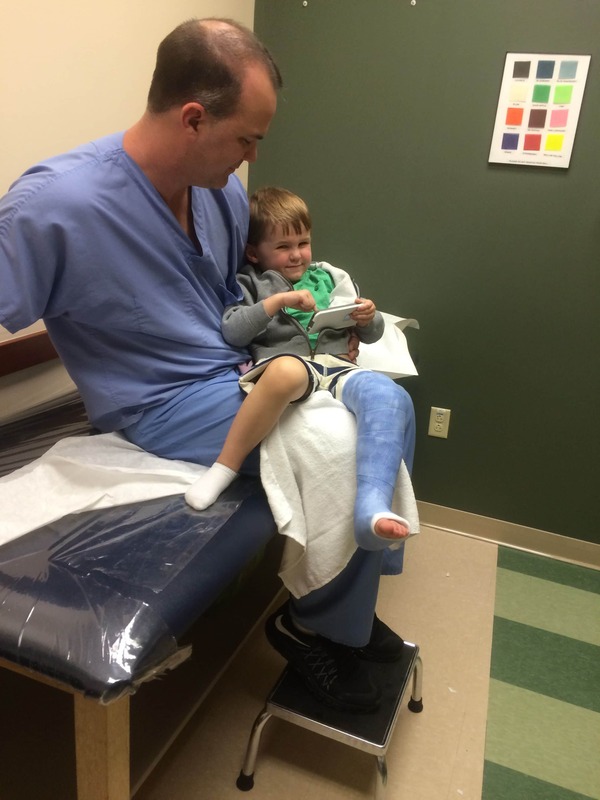 I was googling when he was in the ER and this is what I found: “A trampoline fracture refers to a transverse or buckle (torus) fracture of the proximal tibial metaphysis that occurs in young children who jump on a trampoline with a heavier person. Oh no! I’m so sorry about Luke! How heartbreaking! We were just discussing a possible 5th birthday party at our local trampoline place. Sounds like it’s not a good option. Wishing Luke a speedy recovery and wishing you all some sleep! 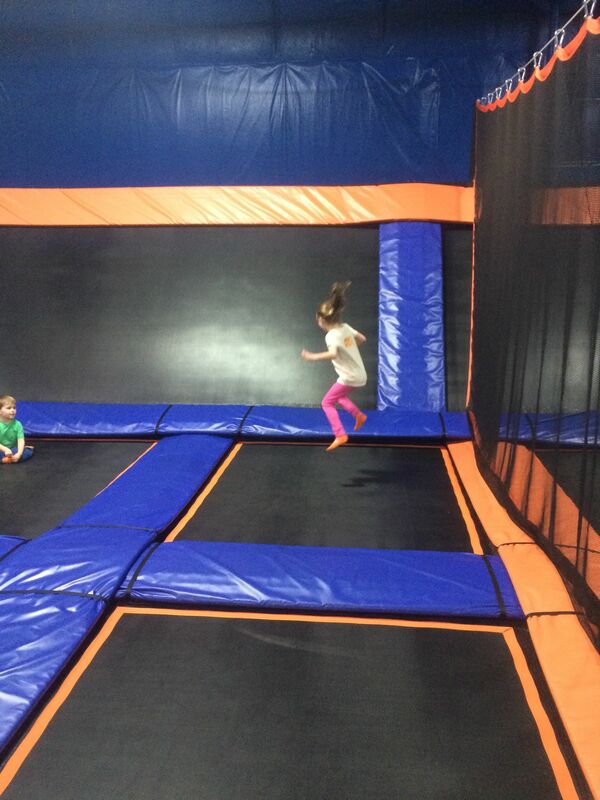 The doctor said, “Yep, SkyZone is job security for me!” Yikes! Oh my goodness, Maryea. 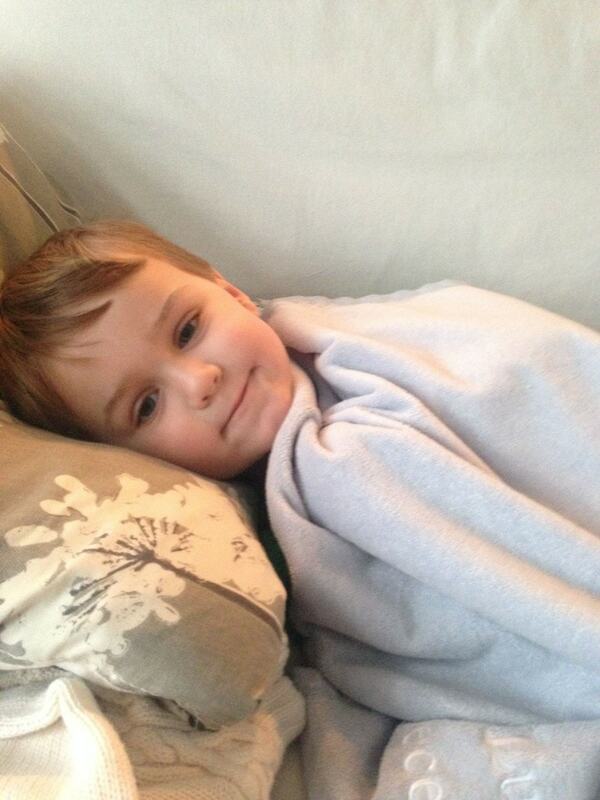 I can’t believe just-turned-three Luke has already broken a bone! Poor little guy! 🙁 I hope that this is his LAST and that you both make it through none the worse. Keep us updated! I know! I’m 36 and have yet to break a bone! He was a little better today. He got a good night’s rest and that helped a ton! Tim actually broke his first bone this past summer. He fractured his shoulder playing baseball! Poor Luke! I’m praying he has a speedy and uneventful recovery. I can’t imagine how frustrating it is for him to be laid up, nor how concerned his mama must have been. We’ll have to give this salad a try; we love the quinoa-avocado-lime combination too. Thanks for the prayers, Kathleen. I really appreciate it! So sorry to hear about Luke! I hope the pain goes away quickly and you both can get some sleep! So sorry to hear about your little guy 🙁 Hope he is feeling better soon! I’ve always wanted to go to Sky Zone- do you live in PA!? No we live in Ohio. 🙂 Thanks, Jess. Oh shoot..that’s not fun at all, especially with a young kiddo like your son. Mine has gone through three fractures three years in a row. It is tough. Hang in there! This too shall pass. I want this salad for lunch tomorrow. And I have everything to make it, so glad I saw your post, Maryea!